Cell phones have become an integral part of how we live, work and play in the 21st century. My smartphone is no longer simply a phone. Now it’s my calendar, my Rolodex, a GPS, a computer, and a TV. And, let’s be honest, other than using it for what it truly is designed for, the most important feature is the camera. With all that we put our phones through, it’s imperative that our phones stay charged. The only thing worse than running out of storage space on your smartphone is a dead battery. I know. It’s happened to me more than a few times, unfortunately. As a seasoned traveler, you would think I’d learn. You’d think remembering to carry a charger with me would be second nature. Sometimes I simply underestimate how quickly my battery will die, especially when I’m taking a ton of photos and using my editing apps. At home, I can simply grab my charger and plug in my Samsung phone. Sometimes I’m just so busy trying to get things done that I don’t want to stop what I’m doing in order to charge my phone. Other times I forget where I’ve carried my charger off to, or worse, one of my kids has borrowed my charger. I think you can guess how that turns out. Luckily for me, Samsung has designed a new way to charge and I think you’ll love it as much as I do! Sure, you can use that plain old cable and charger that came with your phone if you want to, but if you need a charger to keep up with you on the go, there are better options. The Samsung fast chargers are lightning fast, charging your phone more quickly than traditional chargers- even while you’re using your phone. 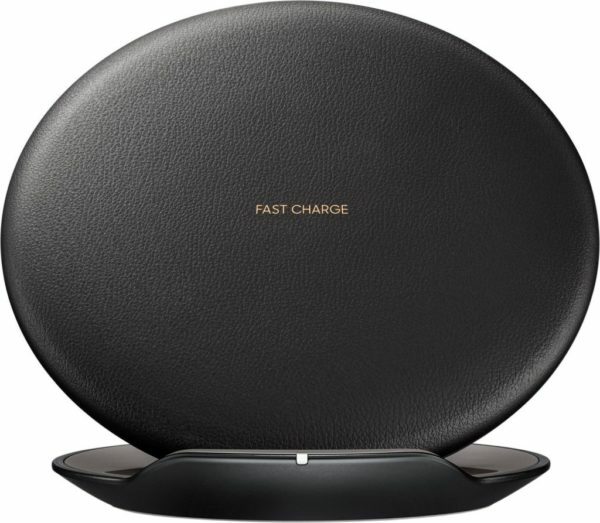 Charger 5806010: Change how you charge – Samsung fast chargers rapidly charge your devices up to 1.4x faster for select models* The wireless charging system eliminates the cables and charges your compatible Galaxy device by simply placing it on the pad. This wireless charging station allows you to charge your phone without all the messy cables and cords. Simply place your Galaxy device on the charging pad and continue using your phone while it’s charging. It doesn’t get any easier than that, does it? Well, for those of us on the road, maybe it does. Charger 5806008: Change how you charge – Samsung portable battery pack lets you recharge your device quickly, so you can talk, text and surf longer when you’re out and about. The Samsung portable battery pack charges your device quickly, so you can talk, text, surf and snap photos longer when you’re out and about- whether you’re exploring your hometown or road tripping across the country. And it does it without keeping you tethered to an outlet! I think that’s brilliant! I can’t tell you how many times I’ve been in the airport with a blinking battery light, desperately searching for an outlet to recharge my phone. Looking for available outlets is like searching for gold, they’re either nowhere to be found or some other cell phone users have already staked their claim. With Samsung portable batteries, I can charge on the go and stop searching for an outlet. Instead, I can stroll along with a smile, thinking of how I’m going to use my phone next. Are you ready to Change how you Charge? Now through November 4th, you can save 20% on Samsung charging devices at Best Buy. You’ll find a large assortment of accessories for every phone to make sure your battery is charged, and you’re connected when you need to be. I am all about carrying the least amount as possible especially while traveling so this charging device sounds perfect for me!